This focus on rural women is long overdue, given that rural women comprise a quarter of the world’s population. Further, women provide 43% of the world’s agricultural labor, and they produce half of the world’s food for direct consumption. In fact, non-governmental organizations discovered some time ago that women—whom many refer to as the “architects of food security”—are key agents of development. One reason for this is that when women and girls receive income, they reinvest 90% of it in their families. In spite of their transformative potential to reduce hunger and poverty, women own less than 2% of land worldwide and they receive less than 10% of available credit. As a former gender consultant for the United Nations, I was prepared for some of what I saw (e.g., bureaucracy), but the experience also held a few surprises. ► One thing that intrigued me about the “Session”—which is not a session at all but a dizzying array of “high-level round tables” and other meetings, panel discussions, “side events,” and “parallel events”—is that discussion of law was relatively absent. Other sessions did take up issues more central to rural livelihoods, including spatial removal from services and agents of the state, and women’s roles in agricultural production. The lack of significant engagement with the particular challenges facing rural women is reflected in the fact that none of the resolutions adopted by the Commission was about rural women. Nor did the Commission adopt any agreed conclusions on the priority theme of the 56th Session. Read more about Article 14, its history, and its implementation here, here, and here. 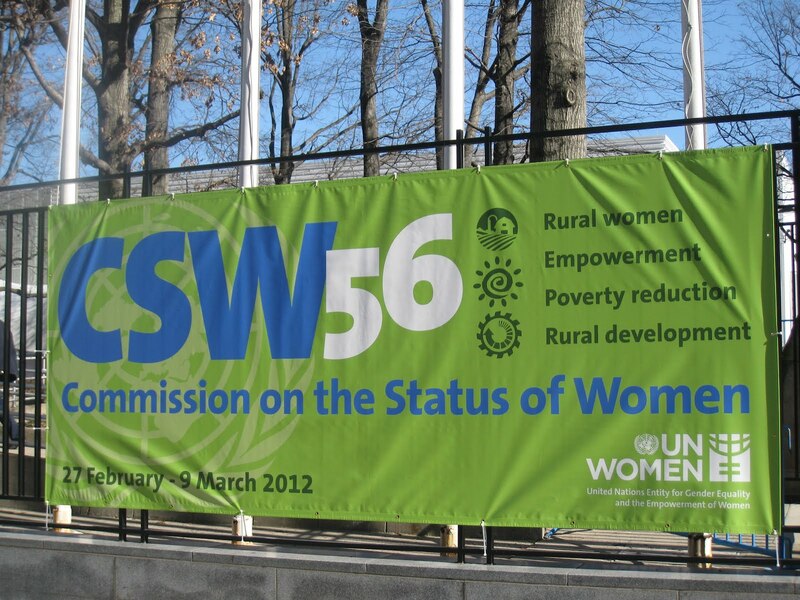 Given the particular attention paid to rural women in this germinal women’s rights treaty, one might have anticipated considerable attention to the provision and its potential at CSW 56. Not so at the sessions I attended. I heard Article 14 mentioned only a couple of times. It is a common bias among lawyers to presume law can solve problems and should be used to do so. Lawyers may be more skeptical about whether international law is effective at solving problems, attributing failures to the lack of enforceability of international law and the lack of respect for the rule of law, particularly in the developing world. As a ruralist, I have asserted that law is less effective at addressing problems in rural locales for some similar reasons. That is, when legal institutions and legal actors (including lawyers) are literally less present, laws on the books are less potent and the rule of law withers. All of these issues related to the relevance, authority, and efficacy of law were in play—sometimes explicitly, more often implicitly—in the attention CSW 56 gave to rural women. 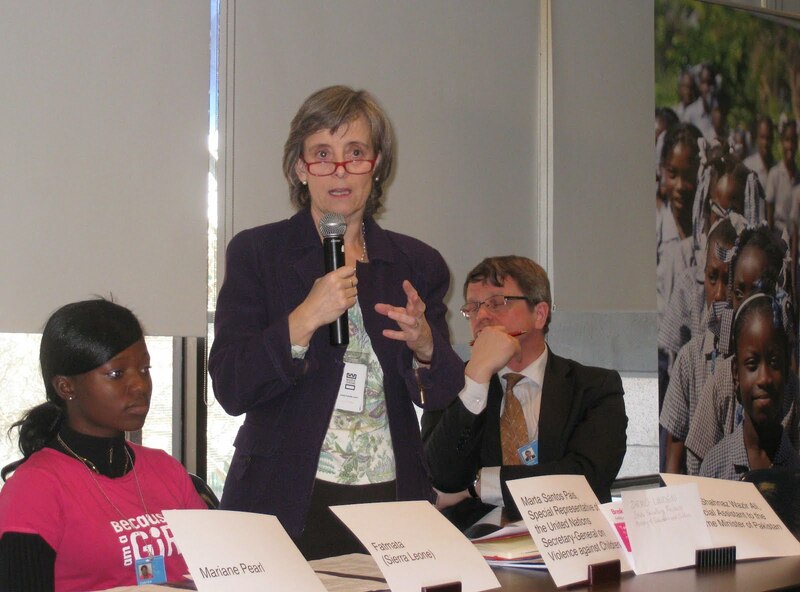 Many of the participants in CSW 56 were not lawyers—nor were they UN or national officials. Rather, the vast majority of participants were associated with NGOs that have consultative status with the UN Economic and Social Council. Indeed, on each morning of CSW 56, officials with UN Women held a briefing for NGO representatives (also referred to as “civil society”). By the middle of the first week, UN Women announced that 1,598 NGO representatives from 358 NGOs were engaged in the annual gathering. Here is a link to the official programming, and a full listing of the NGO programming is here. While most commentators in these parallel and side events presumed developing-world contexts, a few offered reminders that biases against women persist in the developed world, too, including in relation to agriculture. In other words, Australia, Canada, the United States (just to name a few) all have work to do to empower women, including those in rural areas. (To be clear, unlike these other nations, the United States has never ratified CEDAW and is not bound by it). This sampling of events demonstrates my earlier points about both the relative absence of attention to law’s role in solving the problems of rural women (and perhaps, by implication, all women), and also the shortage of programming regarding issues unique to rural women. ► An issue that more squarely implicates law: women’s right to own land. Officials from UN Women reported that diplomats participating in CSW 56 were sharing examples of legislation that would achieve land reform and improve land distribution schemes, but in the next breath they acknowledged the challenge of getting these laws implemented and enforced. The need for legal reform arose in other contexts, too, but so did law’s limitations. For every comment I heard about the utility of Article 14 of CEDAW (or some other progressive national or international law) and the importance of legal and policy environments that were conducive to women’s empowerment, I also heard words of caution about the limits of law. Government and UN officials were more likely to tout the power of law, while NGOs were more likely to focus on village realities that often undermine the rule of law. 'Face reality ... be honest. Even in America, who tells the law? Maybe [the victims and their families] are illiterate ... [child marriage] is their custom. Who goes to tell the law except the child? And how can the child go tell the law? This woman, like many others I heard over three days, extolled the importance of grassroots efforts to achieve the desired empowerment of women. 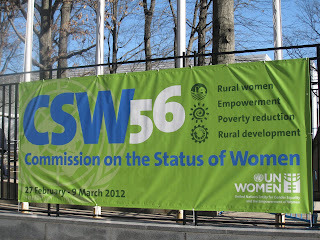 Wherever one might strike the balance between formal law on the one hand and local, grassroots efforts to educate and achieve cultural change on the other, few coming out of CSW 56 would dispute that both have significant roles in achieving the empowerment of not only rural women, but indeed all women. Expecting the Commission on the Status of Women to produce focused statements on very specific matters affecting women's enjoyment of their human rights is an exercise in futility. The Commission's role is to provide overviews of policy issues relating to women that the UN should address. Members of the CSW delegations are representatives of states, frequently with ambassadorial rank, and cannot be expected to say anything beyond generalities and refrain from commitments. Moreover, the split between rights-based and development-based policy thinking in the UN is endemic. For targeted work on the rights of rural women one must look to CEDAW. The CEDAW Committee of course understands the limits of law but as a group of independent experts pushes states to implement and requires them to report on whether they have done so. NGO engagement at both CSW and CEDAW is crucial. At CSW it is more a networking and education opportunity, and as Lisa notes largely engages development-oriented activists; at CEDAW it is an opportunity for direct advocacy on a country-specific basis and largely engages law-oriented activists. The invisibility of the US in the sphere of CEDAW is of course an international embarrassment, but Americans should not absent themselves from the women's human rights discourse on that account. The US remains accountable under UDHR and the Special Procedures such as the Special Rapporteur on Violence against Women (and any others that could touch on discrimination against women under their mandate), as well as ICCPR, CERD, and CAT. We also are subject to the Universal Periodic Review. All of these offer opportunities for advocacy at the UN as well as providing substantive content for domestic advocacy. I also note for the record that the new CEDAW Commentary is out from OUP--a complete account of the Committee's application of the Convention through 2010. Go On! "Engaging with Armed Groups"
Write On! "Politics of International Law"
Go On! ASIL side event, "Women in Arbitration"
No more refoul-ing around. . .